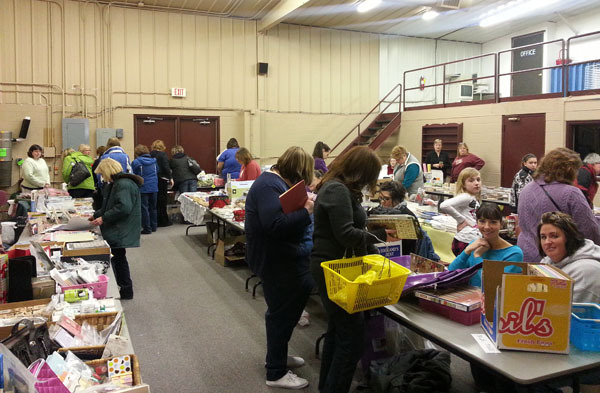 Creations Galore Blog: Your Craft Rummage Sale Is Almost Here! Shop our clearance sections for 50 and 80 percent off items! Admission to the event is FREE. In place of a fee, we're accepting box and can food donations for the Green Bay Salvation Army. Help us give back to our community! Need a fast and easy way to share this event with friends and family? Click here to join our Facebook event. Share the event on your wall or click the 'invite' button. We're giving away a special prize to one lucky guest in the "going" category. Don't miss this event! See you soon!